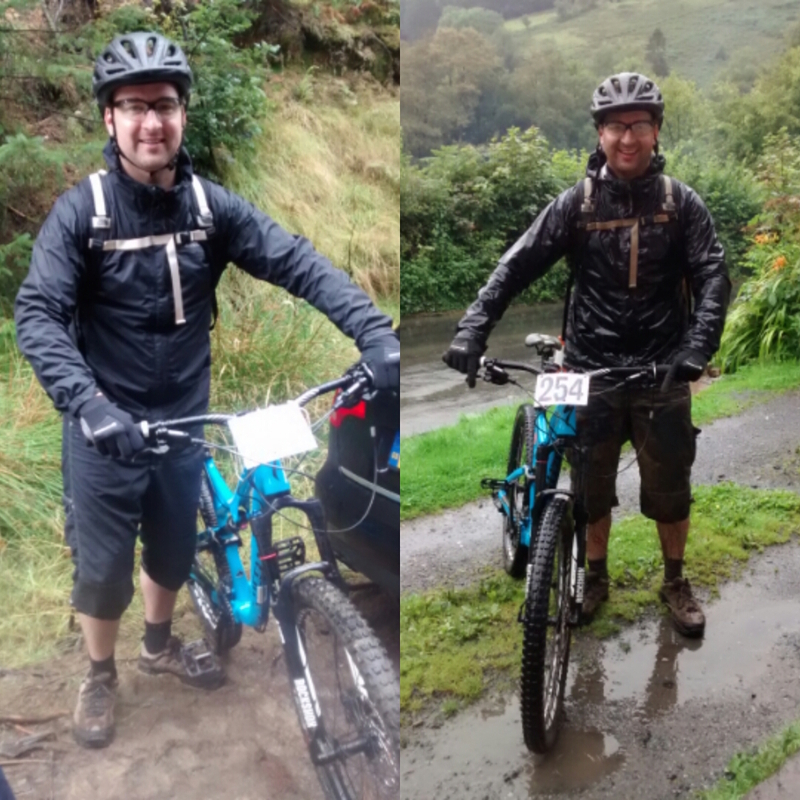 This is a guest blog by Mr Shespoke, hope you enjoy it and it encourages you to get on a mountain bike! 20 years. 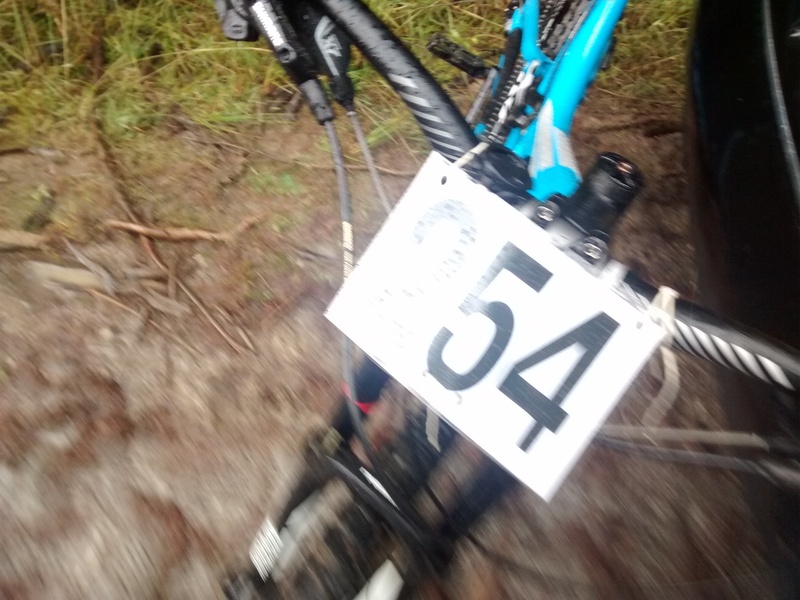 It’s been a long time since I rode a competitive mountain bike race. At the age of 16, the local downhill at PORC (Penhurst Off Road Club) and the dual slalom at the Malvern Classic felt like a riot; I had the care free attitude of youth on my side. Fast forward to 2015. There I stood in a tent, in a forest, in mid Wales, in the rain looking up at some pretty steep drop offs. I can ride that, can’t I? The mind was willing, but was the body still able? It was round four of the Mondraker Enduro Series at Coed Trallwm, which was run by Neil Delafield and his Red Kite Events operation. I had paid £45 to enter for one day and I had little idea of what to expect. Enduro basically means going for a bike ride and timing the downhill sections. The cumulative time for seven ‘stages’ would dictate the overall winner. But let’s be clear, I was riding for the experience. The first run tracked a well worn trail on an open hillside in the wet. I’d barley ridden four minutes, but already I was soaked through. This was going to be an interesting day. I then stated the ride up to the other side of the forest for stage two. I knew the big waterproof would be hot work on the climbs, but how else to stay dry? Stage two opened my eyes, a lot. Neil and his trail building crew had taken a narrow trail through the trees and carved it around as many roots and off camber turns as they could, and some decent drop offs as well. The final section included a really steep section running towards race HQ with a crowd of bikers shouting ‘encouragement’. The rain had made much of this stage largely unrideable (for me) and I started to enjoy as much time off the bike as I did on it. It was hard work. I realised how much skills, confidence and trust that we place in ourselves and the bike when the going gets tough. Wet tree roots and thick mud tested me to my limits. But I got down, and back up, for stage three. Just muddier and wetter than before. The baptism of fire continued. The rain kept coming down. Stage three was harder than two. I came off the bike a lot and tracked descents of 30 per cent in gradient. But mostly on my slipping feet or backside. Blimey, 20 years off is too long, I thought. My confidence returned with stages four and five, tracking trail centre-type tracks, and the opportunity to at least stay on the bike. Thanks for that, I thought. It was good to get through the five stages and take stock. At this point I had been riding for about three hours and in reality had reached the limits of my fitness. Stages six and seven were repeats of previous rides. I couldn’t face riding (slipping down) number two again. I decided to call it a day, pleased with the fact I had ridden in the rain and given it a go. Lots of lessons to learn, but also reasons to be cheerful. After five badass descents and nearly 3,000ft of climbing my 36-year-old legs started to cramp. I nailed the peanut butter bagel and rode off down the valley to the cottage where we were staying for the week. It’s safe to say, it was some of the hardest biking I have down in years; but would I do it again? The mind is still willing and the body can be persuaded with a little encouragement and practice!